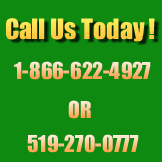 Envirotech Pest Control only uses products that are approved by Health Canada. All of the products that Envirotech Pest Control uses are natural insecticides called pyrethrins and pyrethroids which come from a certain species of chrysanthemum plants (flowers). Certain versions of acids from these plants have been developed into insecticides. These versions of pyrethroids are more effective than natural pyrethrins and are much less toxic to mammals. The most common pyrethroids used by Envirotech Pest Control in most of our programs are pyrethrins. Pyrethrin is used on many mammals as a flea and tick control and is very safe. By treating your dwellings, whether it be your home, cottage, estate or commercial property, these products are extremely safe and effective for all inspects, which in turn will leave your investment properties a safer and more enjoyable place to relax. How long do I need to leave for? When treating a property or structure, most of the application is done to the exterior. Only a very small part of the interior is treated, mainly the baseboards, window ledges and attic spaces depending on the program you choose. The recommended time for being out is 1-2 hours. Infants or people with health concerns such as asthma or pregnant women may choose to leave longer. How long is the residual affect for? 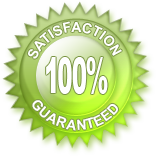 Most of the products that are used by Envirotech Pest Control are effective for 60-90 days. In most cases for home or cottage care programs, attic access would be required, closets cleared, blinds opened, and window ledges cleared, cover BBQ’s and anything on the exterior that you wish not to be exposed to our products. Dogs may stay in the house during application, however, we prefer that you make arrangements to have pets away from the property. Cats may have an allergic reaction so it is recommended that cats do not return to the house until the product is dry, 2-4 hours, or put into an untreated room. Fish tanks should be covered. Most of the application is done where rain does not come into contact with the product. Underneath fascia, soffit, under vents, behind shutters, under decks etc. A light rain or drizzle in most cases will not affect the outcome of your job. Our specialized application equipment will allow us to operate under all conditions successfully. All work is guaranteed under these conditions. If you are not happy in any way, just call us. Under extremely bad weather conditions Envirotech Pest Control in most circumstances will keep your scheduled appointment. We will complete the interior work as we realized you have taken time to be there for our initial appointment. The exterior work will be completed in a reasonable amount of time. Nobody is required to be there to complete the exterior work, we will simply leave you a note of completion. What Can I Expect from our Home Care Pest Control Program? It is called the Home Care Pest Control Program because we care. Spring application is different from the fall application. Immediate results are achieved in the spring program for inspects such as cluster flies, wasps, lady beetles, and some other over wintering inspects. The spring application and the products we use control all inspects but in the spring it also significantly reduces the potential for wasp and spider problems. Timing is critical for the spring application. Timing will prevent alot of insects from establishing nesting in harbourage areas. The spring application has many benefits to make outdoor activities more enjoyable, bbq etc. In the fall, there are many inspects trying to enter your home to overwinter. Some of these include cluster flies, lady beetles, pine seed bugs and more. Our chrysanthemum based product has a 60- 90 day residual that will continually work from August to freeze up, therefore eliminating your pest problems. Control is not immediate. A very large percentage of inspects will be controlled at a time of application. The remaining activity will be controlled for the entire fall season until approximately 90- 100% elimination. Can I wash my windows? Envirotech Pest Control’s goal is not to spray your windows but it sometimes does happen due to various weather conditions. We recommend washing windows after application is complete 3-4 weeks. It is important not to wash the products off the ledges, only wash the window panes. Envirotech Pest Control only uses the best products available on the market. Some products may stain vinyl siding so when booking your call, please advise our company. We have a special product for vinylsiding. In most cases, the average application is 1-2 hours depending on the size of your home. The products that we use at Envirotech Pest Control will not harm plants. In fact, many of the products we use can be used in your vegetable garden with restrictions. We just had our house treated and there is still some activity. Depending on the program and your particular structure, control is not always immediate. Our products have residuals and continue to work for long periods. This residual reduces the pest population. The products do their best work in the evenings or on cooler days. On hot and warm fall days, activity around your home may be abundant. As evening approaches and inspects seek our places to hide, the product then does its best work. A simple test to show the products effectiveness would be to conduct an exterior inspection after a high activity day. Look for dead insects around the base of your home or near the foundation.